Give your Pop! Vinyl collection the protection it deserves with the specially designed Pop! Protector! Made from 2mm thick acrylic, for those who desire the extra protection for their Pop! We’ll open these up and fit them to your Pops purchased on the same order – these things are built like tanks and add a massive additional layer of protection. Please note, these protectors are ONLY for the standard-sized Pop! Vinyl boxes. 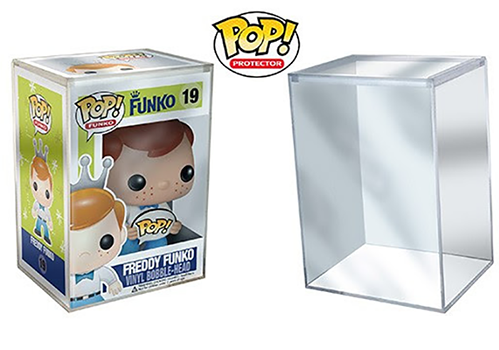 6″ boxes and other uniquely packaged Pops may not or will not fit.